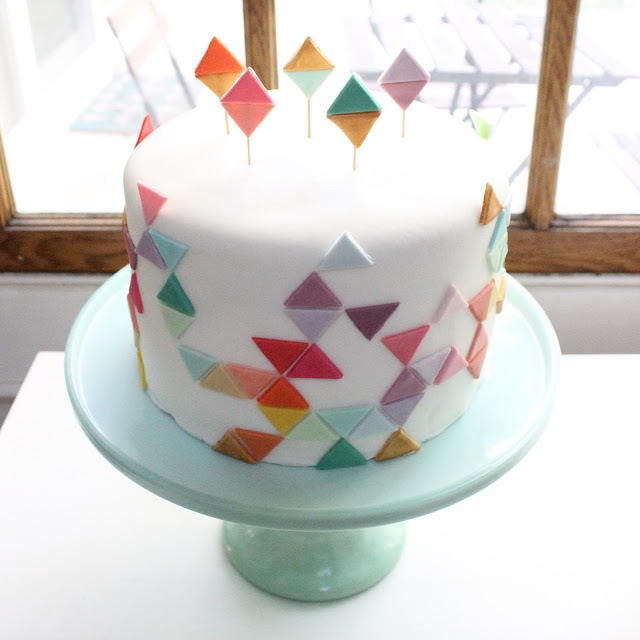 This fun little geometric cake was just so fun to make. I haven't made a cake since the renovation and I finally got the chance to make on this week for one of my favorite brands, Dear Creatures. It was really good to make a cake again and loved the colors and shapes. It was a great project to do to get my creative juices flowing again. I also liked playing with the colors a lot, and making random shapes. 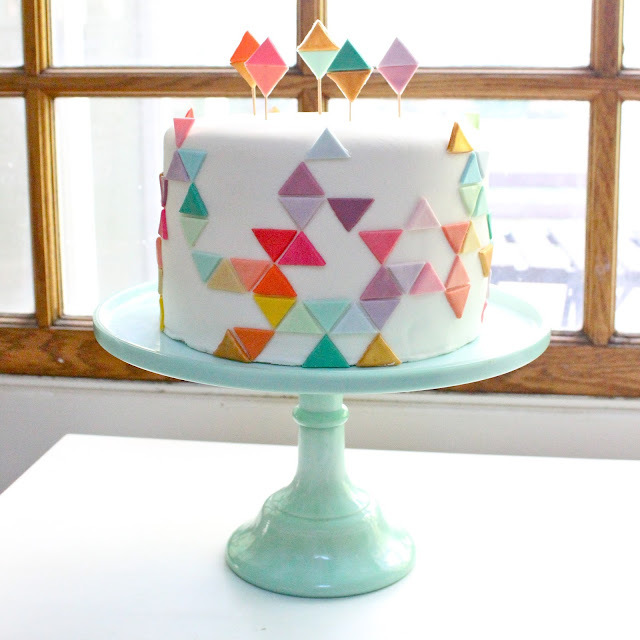 I love the bold and light colors mixed, as well as the gold triangles too. The cake was made like Erica Obrien's geometric cake. 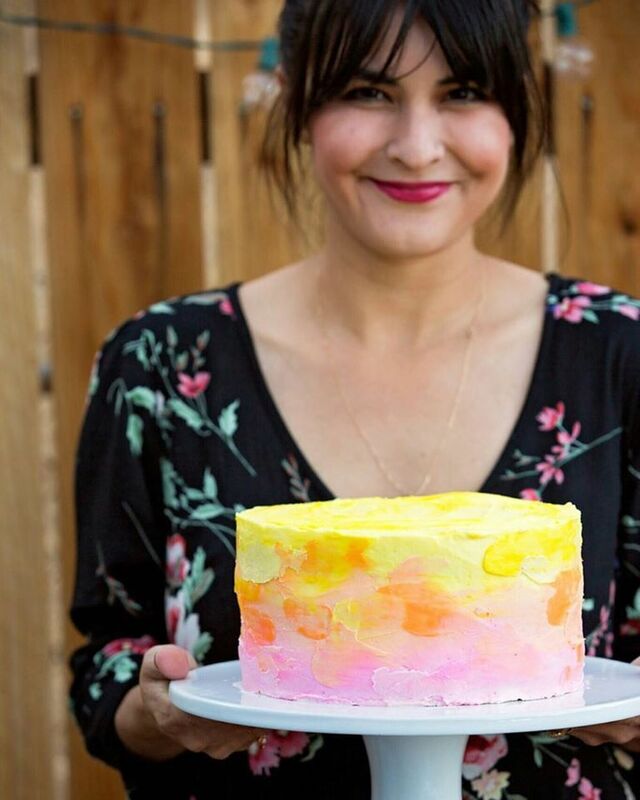 She really makes the loveliest cakes, so trying to do a cake like hers was intimidating. But so happy with the colorful outcome! Have a good weekend, friends!! !